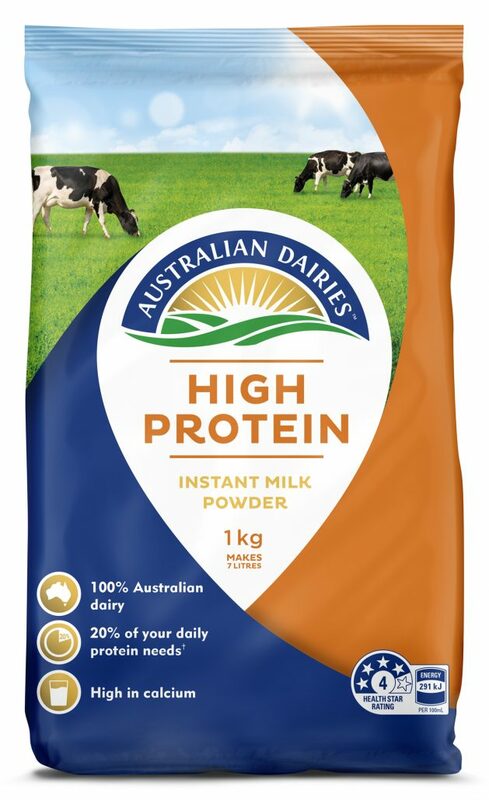 Kick-start your day the right way with Australian Dairies High Protein Milk Powder. A deliciously creamy whole milk powder with an additional protein boost to give you the strength to tackle the day ahead. Perfect for adding a protein boost to smoothies or shakes. 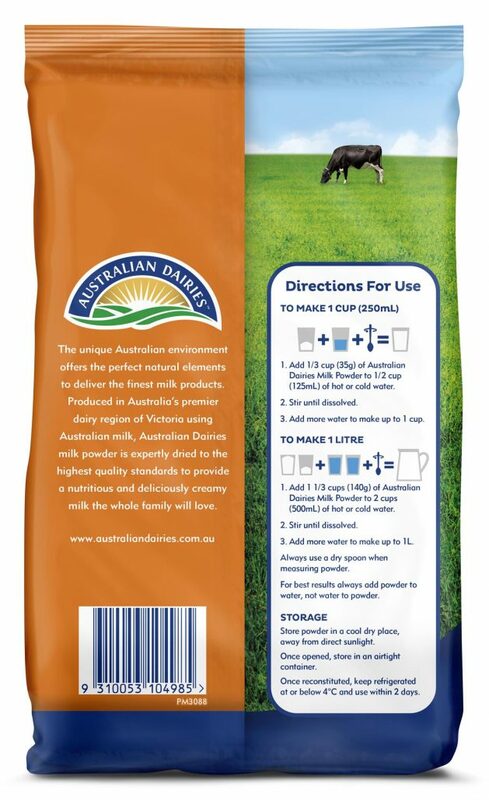 Add 1/3 cup (35g) of Australian Dairies High Protein Milk Powder to 1/2 cup (125mL) of hot or cold water. Add 1 1/3 cups (140g) of Australian Dairies High Protein Milk Powder to 2 cups (500mL) of hot or cold water. Milk, Whey Protein Concentrate (From Milk), Emulsifier (Soy Lecithin).